Dr. Gandhi Murugan has completed M.B.B.S. (1985) and M.D. (GEN.MEDICINE) in 1993 from Madurai Medical College, Tamilnadu, India. He worked in Vijaya Hospital Chennai, Pushpagiri Hospital Thiruvalla,Kerala and E.S.I. Hospital Coimbatore, Tamilnadu. 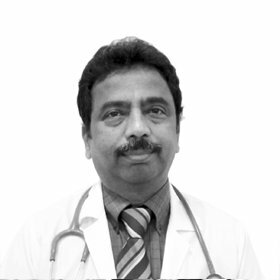 Dr. Gandhi has more than 30 years experience in India and UAE. He has been practising in Dubai since 1999. His special interests includes Hypertension,Diabetes,Hyperlipidemia,Lifestyle diseases,Tropical Diseases(Infections), Metabolic diseases and Adult vaccinations.